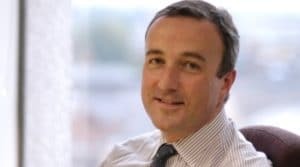 US law firms will have less incentive to employ UK-qualified lawyers as a way to access European markets and the UK solicitor title could become less desirable as a result of Brexit, the Law Society has warned. In any event, transitional arrangements to ensure continuity if negotiations with the EU are not concluded with two years after article 50 is triggered are essential, it argued, with potential models preserving key rights and obligations that come with EU membership. In a 34-page report, Brexit and the law, laying out its latest thinking on the relationship between the UK and the EU, the society urged that Brexit negotiations must include support for the future success of the nearly £26bn legal sector. Priorities for minimising the impact of Brexit on the sector should include: continued access for UK lawyers to practise in EU member states; maintaining mutual recognition and enforcement of judgments; maintaining collaboration in policing, security and criminal justice; and promoting England and Wales as the jurisdiction of choice by ensuring legal certainty is sustained throughout. Although it recognised there was a political imperative to address immigration during withdrawal from the EU, the society urged the government to enable law firms to recruit skilled individuals from the EU. It also argued that if the UK was to leave the single market, lawyers should still be able to provide temporary services inside the union. Meanwhile, among other things, the UK should sign up to the Lugano Convention as a substitute for the Brussels I regulatory framework, and become party to the Hague Convention on Choice of Court Agreements. On the Great Repeal Bill promised by the government, the society said it should publish a draft Bill “to allow pre-legislative scrutiny to occur” in view of its significance. Crucially, in order to allow business to prepare for the new regime and avoid a ‘cliff-edge’ before the new relationship with the EU began, the government should “negotiate practicable transitional arrangements”. It produced statistics to highlight the importance of the legal sector to the UK economy and its importance within Europe. The UK was the second largest legal services market in the world and the largest within the EU. In 2014 the total value of the UK legal sector was almost three times that of Germany’s and six times that of France – the next two biggest in Europe. The government should take steps to ensure that businesses continued to choose England and Wales as their preferred choice of jurisdiction. If fewer contracts specified English and Welsh law, demand for dispute resolution would fall. Whatever form the Brexit negotiations took, the society argued, it was essential that an “orderly transition” was achieved. “Legal certainty is a key point and the likely breadth of changes means that citizens and businesses – and indeed the member states themselves – will need time to familiarise themselves with changes to the system and adapt. The society suggested three possible transition models: that the UK retained the “majority of rights and obligations of membership”, at least temporarily; that rights and the status quo were “frozen” without formal membership; or that a temporary European Economic Area model would be established. In this last model, “the UK would formally leave the EU but retain the key aspects of its trading relationships. This could include continued participation in the internal market membership and perhaps also the customs union”. Law Society president Robert Bourns said: “English law is one of our greatest exports and has helped put Britain at the heart of the global economy and because the legal sector underpins the success of the UK economy, it is vital we get the future relationship with the EU right.